Email blasts are an excellent way to communicate with your leads and existing patients/clients. It’s no surprise that – probably because of the prevalence of smartphones – email has become the most preferred method of communication for consumers in America1. It’s more convenient than ever to read an email immediately. An email blast is a relatively easy and cost-effective way for you to engage your cold leads by promoting events and specials, keeping your leads’ attention on you while you continue to define your identity to them. But it’s also easier than ever to delete an email without even bothering to open it. Before someone sees the content of your email, they’re going to see your subject line, so it must be compelling. The email itself shouldn’t be too long; we decide if an email is worth our time within 3 seconds1. An attention-getting image helps to keep eyes on the email, but ultimately the message has to be relevant to the recipient. Otherwise, you risk people unsubscribing from your mailing list. And who could blame them? You can’t foster a good relationship by sending information that doesn’t matter to your prospects. MDprospects makes it very easy to sort your leads into lists that will keep the conversation relevant to their interests. Ideally, the email will include a link that encourages and allows the reader to follow through with your offer. That’s known as a call to action, or CTA. Even better than a text link, however, is a button. Conversion rates can increase by as much as 28% with buttons instead of text links2. Like your subject line, the CTA ought to be convincing. That’s mainly because you want people to respond to your call to action, of course. But any link your recipient clicks in your email sends something of a ping that gives a more accurate open rate, so you’ll have an even better idea of the email’s performance and know who it's engaging. And with that information, you can go a step further and segment your send lists. Knowing who’s opening and interacting lets you tailor your future emails accordingly. The people who didn’t open the first email might need a more urgently worded subject line the next time you send them something. The people who clicked through to see more about your promotion in the first email might get a reminder email as a follow-up a little later. The ways you segment your lists are up to you – age, zip code, area of interest, etc. – but doing so allows you to identify different sub-groups and easily attend to them in different ways. It’s not something you must do, but click-through rates have been seen to increase from 3% to 8 % with segmented lists3. Speaking of your send list, we now get to the most important thing: the provenance of your list. Only send to people who opted to receive your emails. That’s not just common courtesy; doing otherwise can cause serious damage to you, your reputation, and even your ability to send email campaigns again. 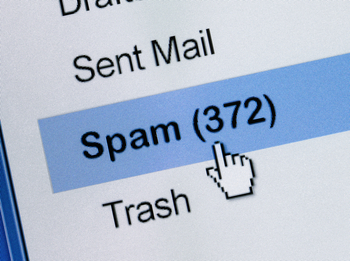 It only takes a few people marking an unwanted email from you as spam to make two bad things happen – their email provider (Gmail or Yahoo!, for example) will start delivering emails from you to spam folders instead of inboxes, and your email system will be alerted that you’re sending spam and will very likely suspend you from sending again. The opt-in is especially important if anyone on your list is a patient. HIPAA has clear rules about using patient information for marketing purposes. In a nutshell: don’t. That said, a LASIK patient might happily opt in to a mailing list to know about your sale on designer sunglasses. But they’re opting in, and that’s essential. Because of the damage sending unwanted emails can do to you, a good list is much better than a big list. And a good list can grow. Doing something simple like adding a subscribe button to your business’s Facebook page and website will help spur that growth and keep it healthy. Some practices keep a dedicated tablet in their lobby just for people to sign up for emails. It’s also simple to add an opt-in check box to your online forms. These tips can go a long way to help you make the most of your email campaigns, but keep in mind that most of it comes down to the golden rule. Would you want to get promotional emails you didn’t ask for? Would you open irrelevant emails? Would you click a link about LASIK when it was Botox you were interested in? Probably not. So make people want to open it. Make it relevant. Make it timely. Make it describe who you are. Make it be something you’d want to receive and know about.